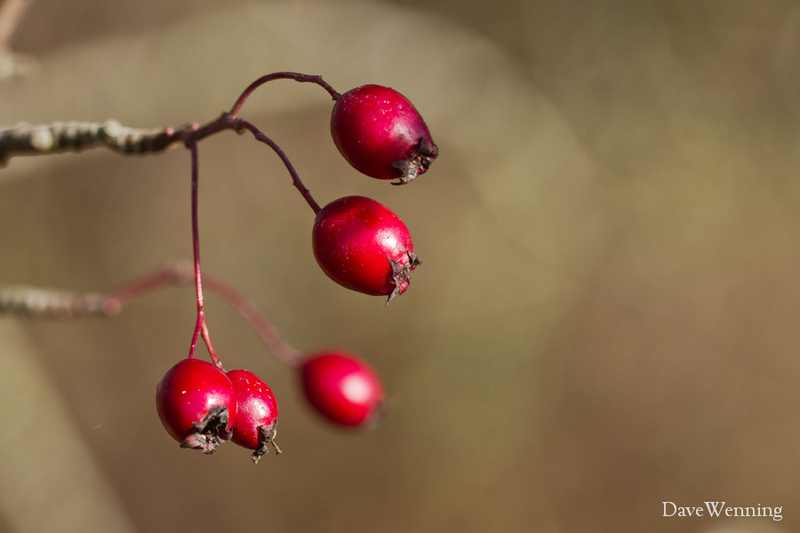 The term "macro" refers to photographing small things up close. It seems to me it should really be "micro." To add to my confusion, Canon calls their macro lenses "macro." while Nikon calls theirs "micro." Apparently, I am not the only one confused by the term. Perhaps the solution is to just call them "close-ups." They were shot with the Canon 7D and the Canon EF 100mm f/2.8L IS USM Macro Lens. 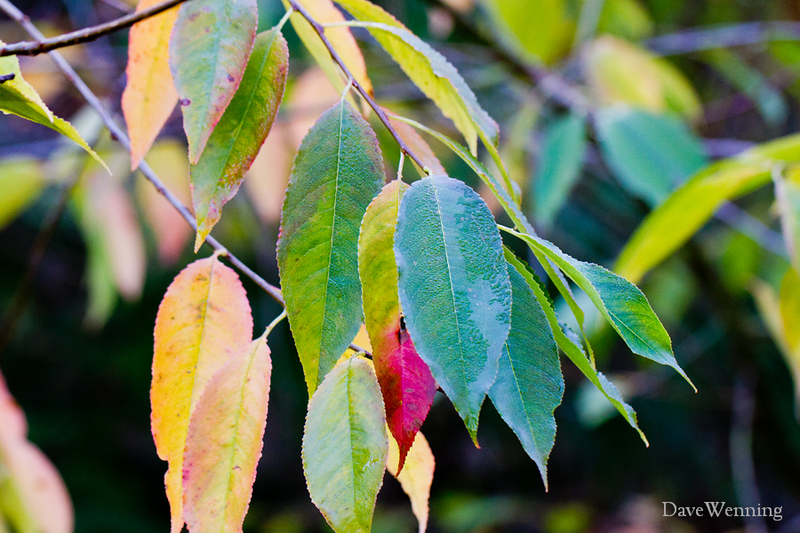 Those are Pacific Crabapples (Malus fusca) in the photo. This time of year, clear skies bring out photographers and chilly temperatures. 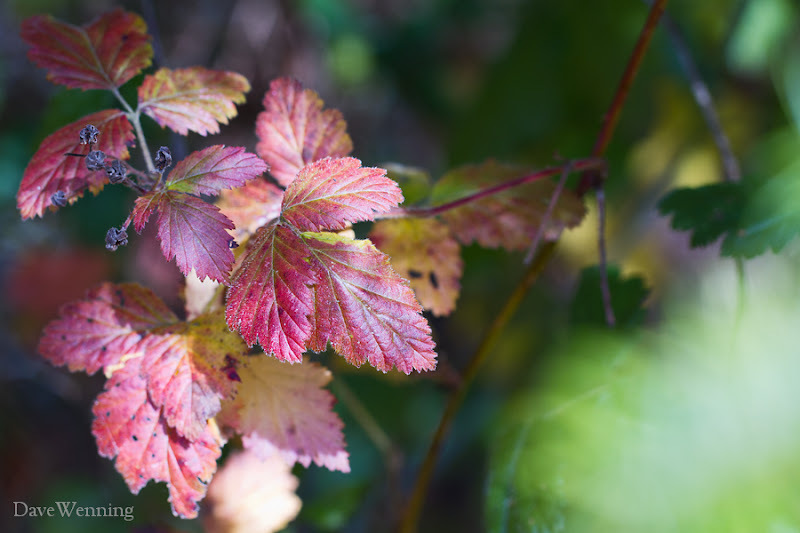 All of these photos were taken along the Upland Trail at the Breazeale Interpretive Center. This is the headquarters location of the Padilla Bay National Estuarine Research Reserve. 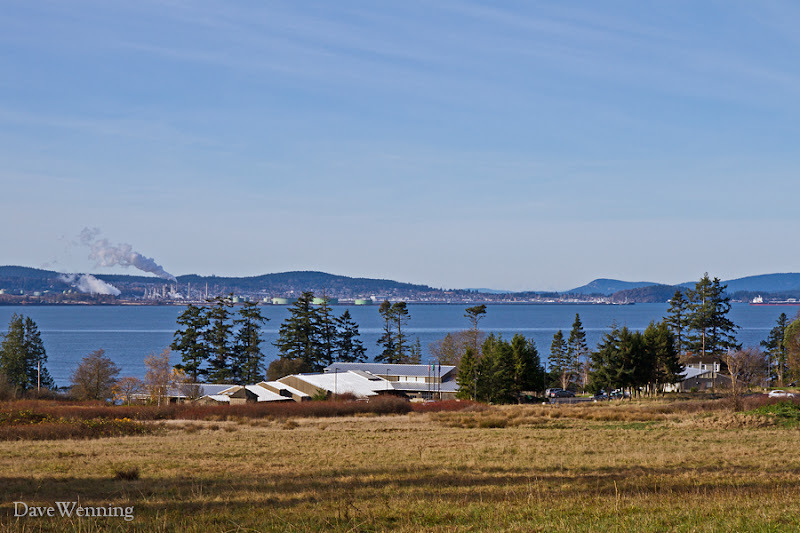 Fidalgo Island can be seen across Padilla Bay. The visitors' center includes a museum and aquariums. Macro photography can create interesting images from mundane things. 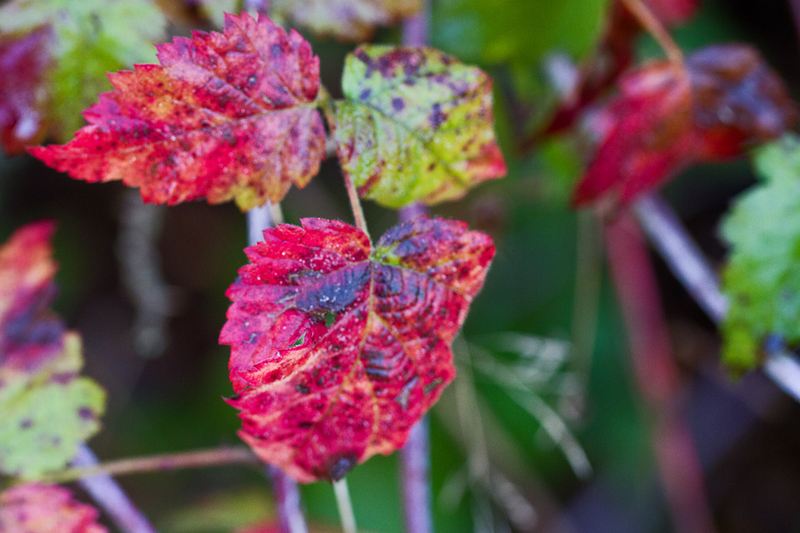 Even in late November, Blackberries are still delivering an autumn spectacle. Blackberries are members of the rose family (Rosa). Our native blackberry is Trailing Blackberry (Rubus ursinus). 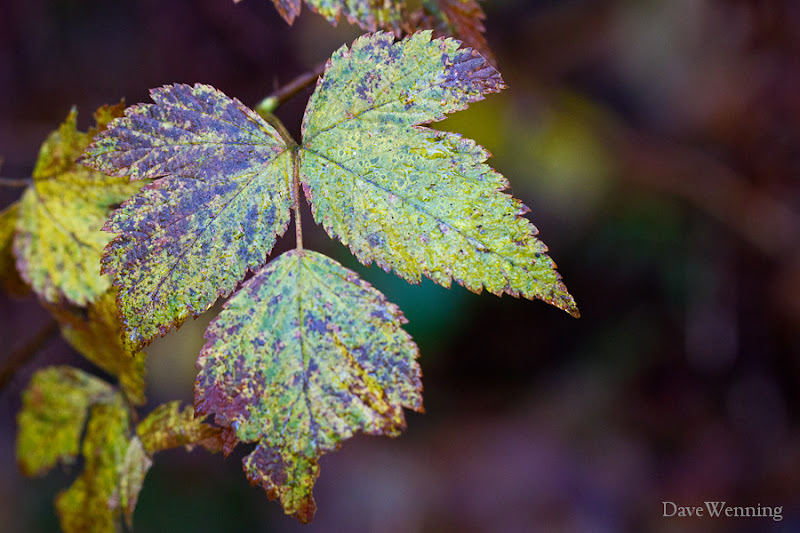 Other kinds, including Cutleaf and Himalayan Blackberries, are invasive, introduced species. 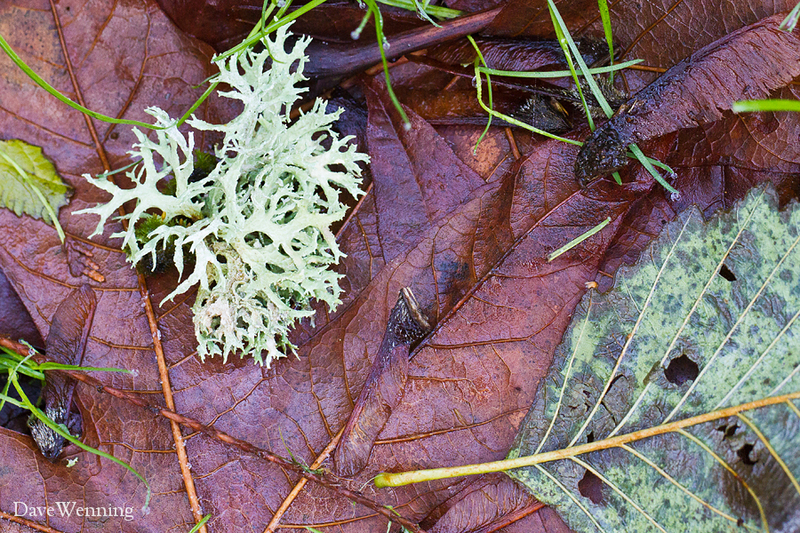 If it isn't walking, crawling or flying in a damp forest, moss and lichens will grow on it. The Upland Trail passes through open meadow, forest edge and deep forest habitats. You can download a trail guide (.pdf) to take on the hike. Numbered sign posts along the trail refer to descriptions in the guide. They highlight features of the Padilla Bay watershed. 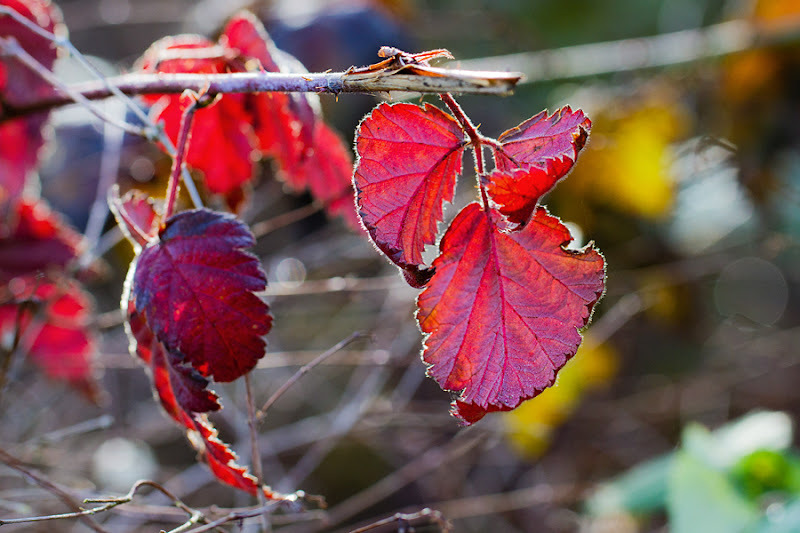 The trail side is decorated with the colors and textures of late autumn. 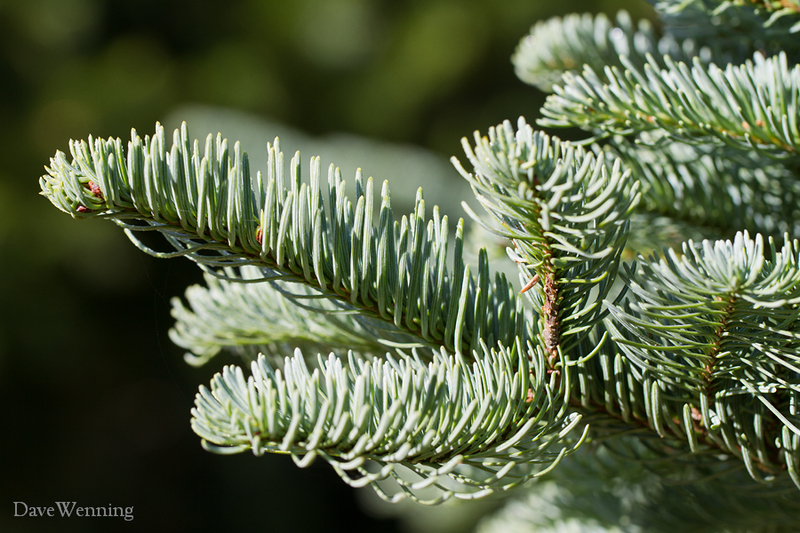 Among the Douglas Fir and Western Redcedar, the dominant deciduous trees are Bigleaf Maple and Red Alder. 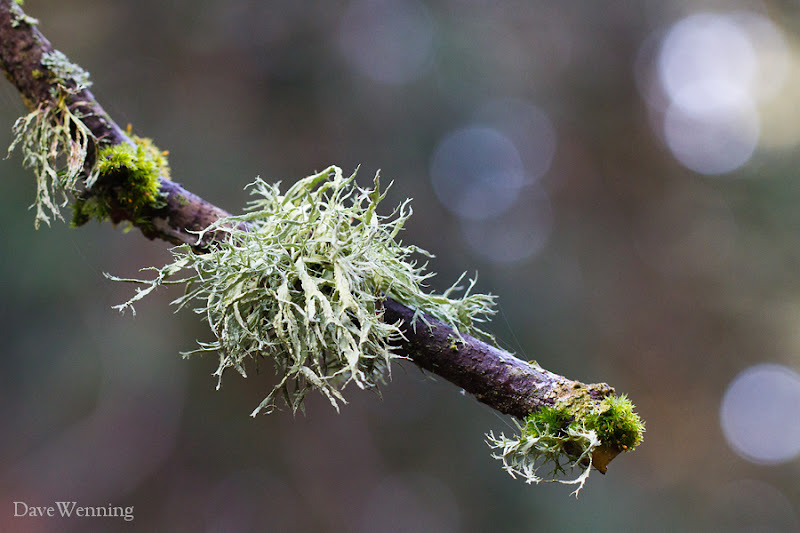 A clump of Lichen has fallen out of one of the trees. I believe this is either Forking Bone or Antlered Perfume Lichen. 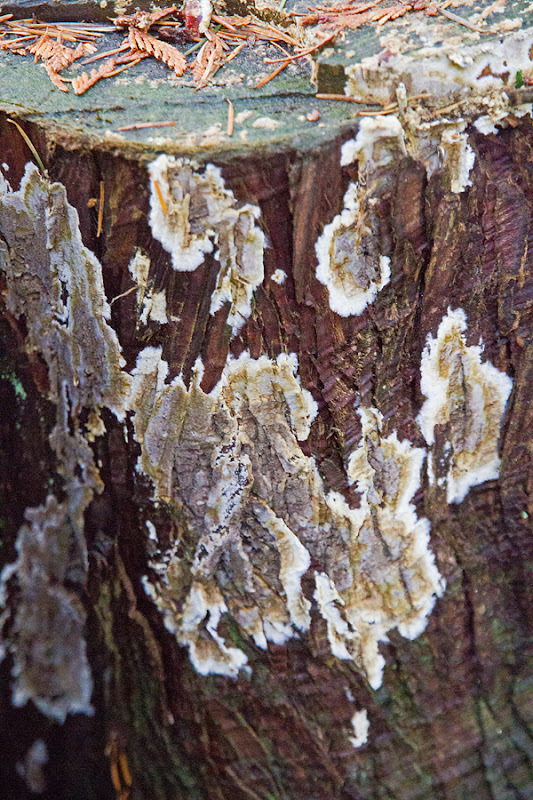 I need the help of someone with lichen expertise to ID it accurately. 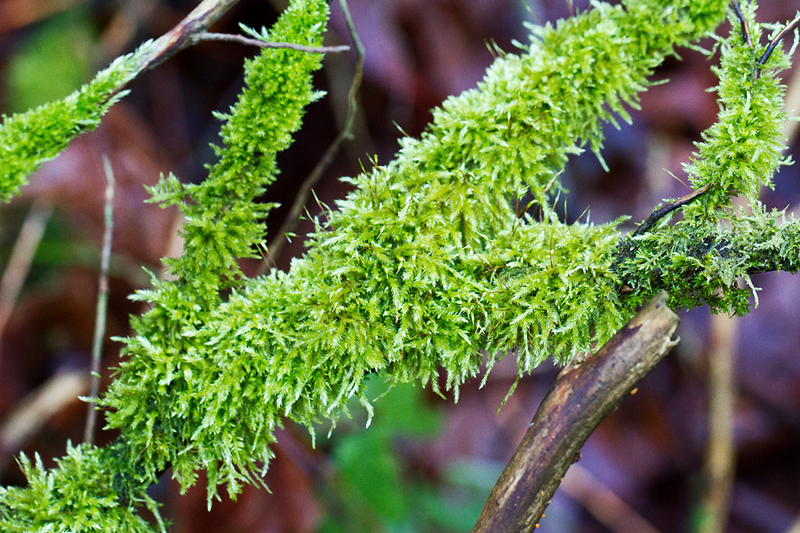 Mosses are also difficult to identify for the uninitiated, but no less beautiful. This is a small tree I don't recognize, but I liked the variety of colors. Could it be a type of willow? Not knowing what everything is drives me nuts. Here is another blackberry, this time lit from behind. Thickets of blackberries and Snow Berries along the trail were alive with foraging Spotted Towhees. At the halfway point, the trail emerges from the woods near the neighbor's farm. 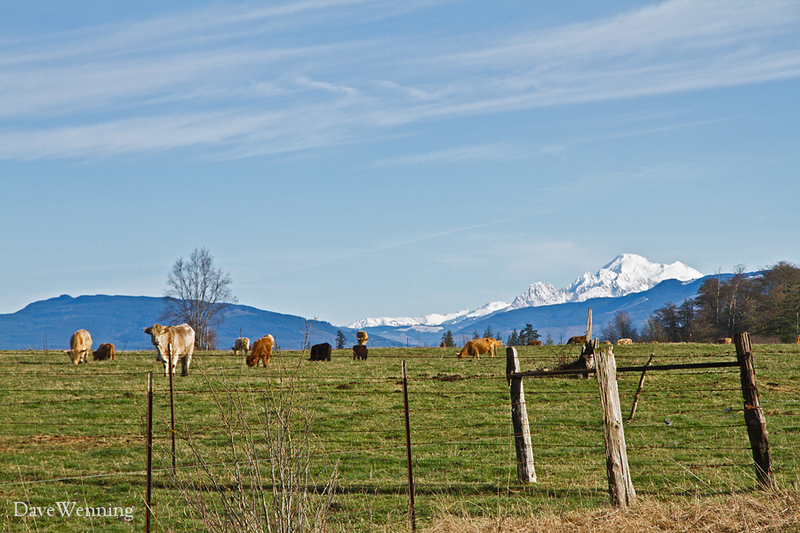 Those are Scottish Highland Cattle grazing under the watch of Mount Baker. There were maybe fifty more just to the left of the photo. We have seen them here before. Before re-entering the woods, the trail passes by a grove of interesting fir trees. If these are Noble Firs (Abies procera) they don't belong here. 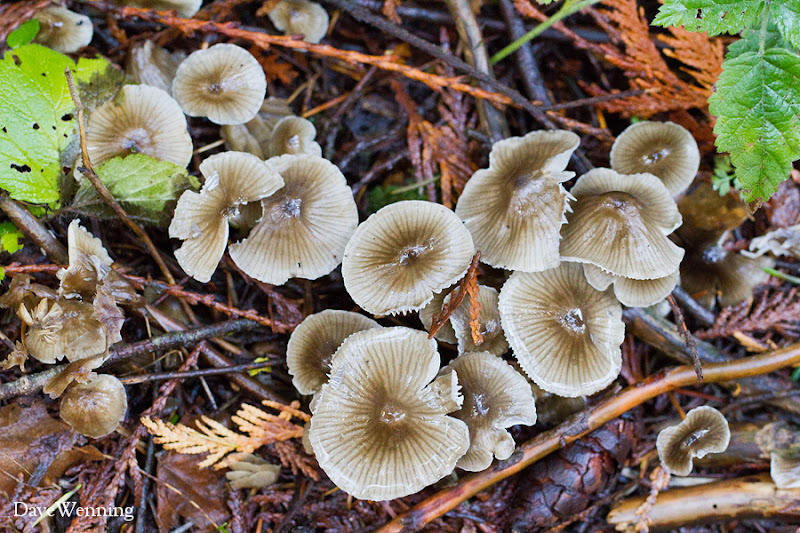 They should be growing higher up in the Cascade Mountains. In the summer, they have huge reddish-brown, upright cones which can be seen in another post. 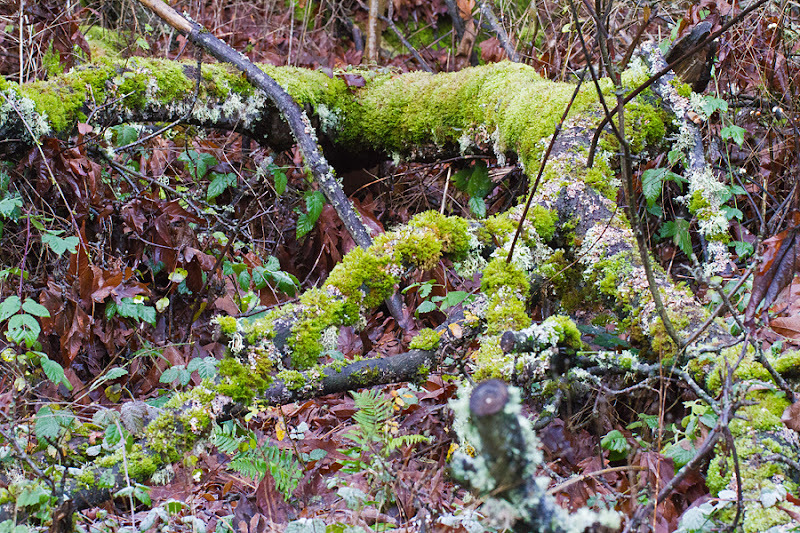 An old stump, in deep shade among Western Redcedars, is given new life by patches of lichen. 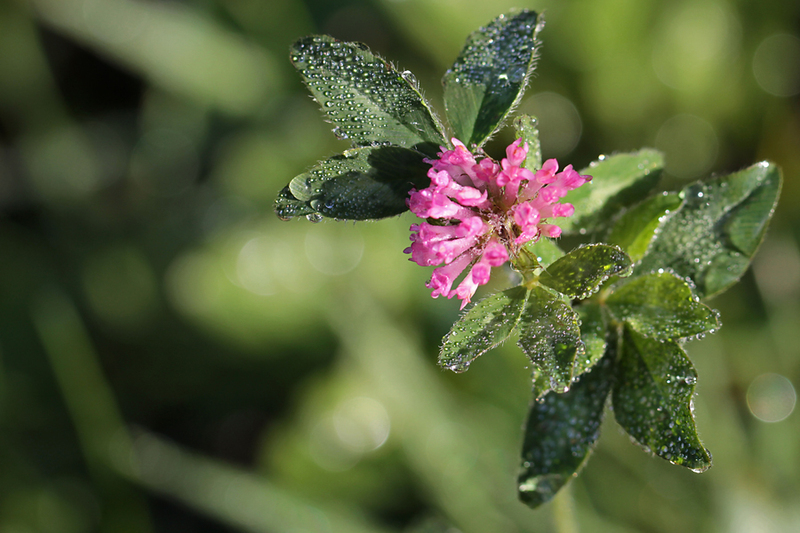 Emerging from the woods, I find Springbank Clover (Trifolium wormskjoldii) still blooming in late November. An early morning frost is now melting into water droplets. That wonderful name honors Danish botanist Morten Wormskjold. A small and rather damp side trail loops back into the woods. 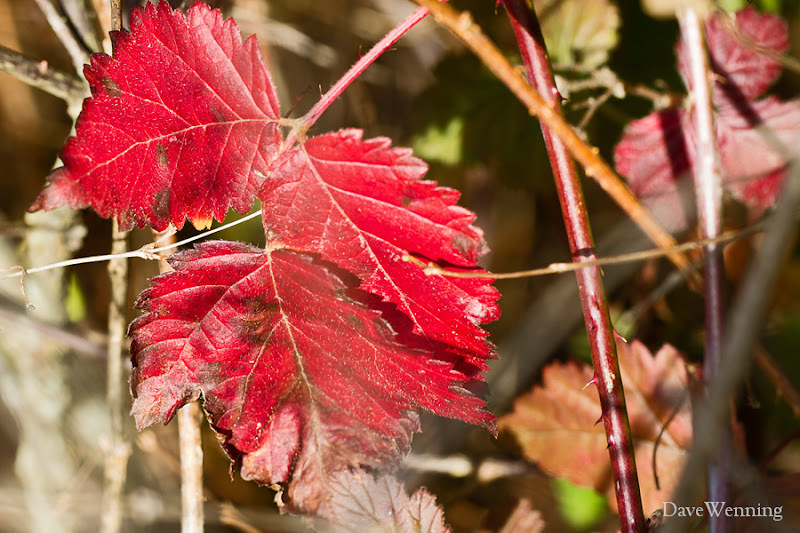 This is Salmonberry (Rubus spectabilis), also in the rose family and dressed for autumn. In the shade along the trail, these big, round leaves caught my eye. 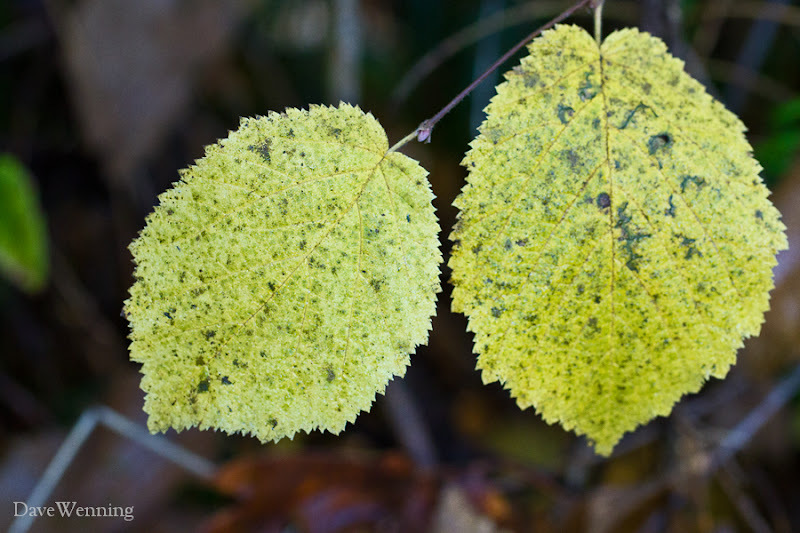 I have tentatively identified them as Beaked Hazelnut (Corylus cornuta). This cluster of mushrooms was growing next to the trail. Does anybody know what kind they are? I guess I need a good mushroom reference. 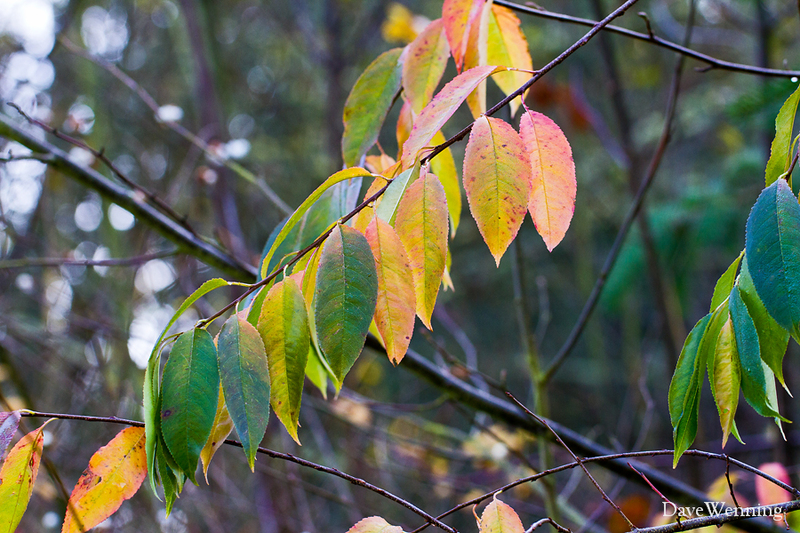 It won't be long now before all this color will be gone. 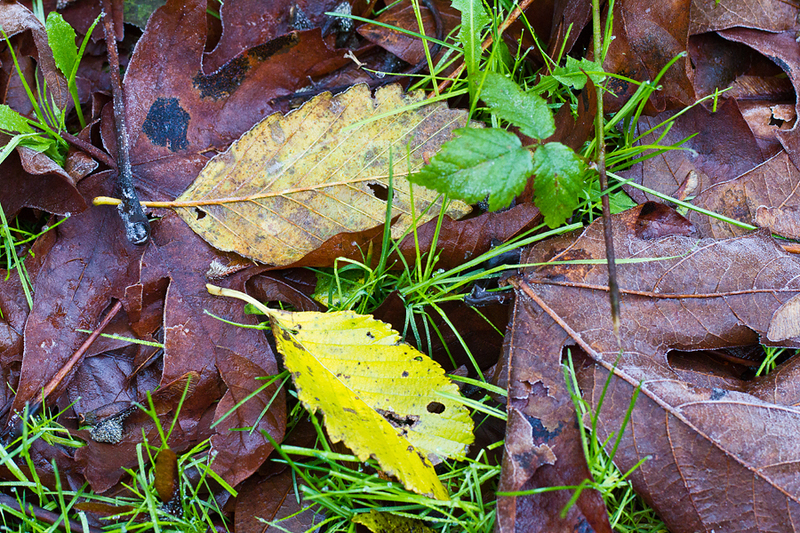 When dead leaves fall to the ground, they actually live on by renewing the soil. What seems to us to be the end of life, is really the onset of a new beginning for plants.